Classic Heart Pattern Ring - Available in 14k Gold Fill, 14k Rose Gold Fill, Sterling Silver, Brass, Bronze, & Copper. 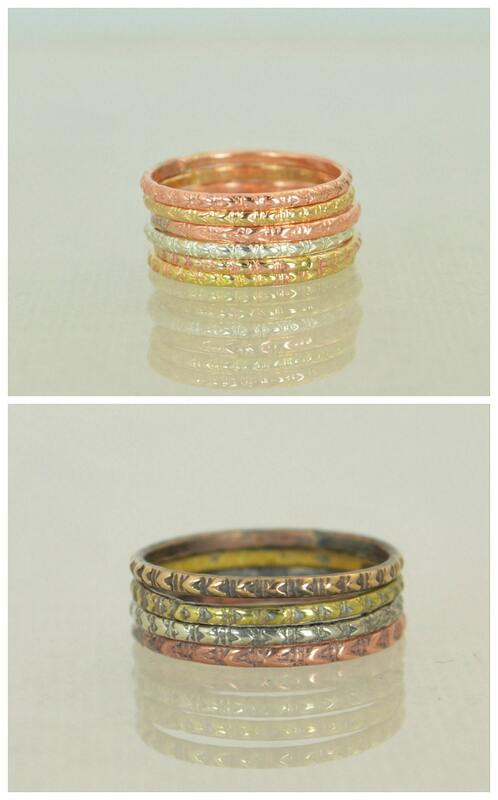 These rings are Bohemian Chic; Rustic, Understated Luxury. Ten different styles of ring to choose from. 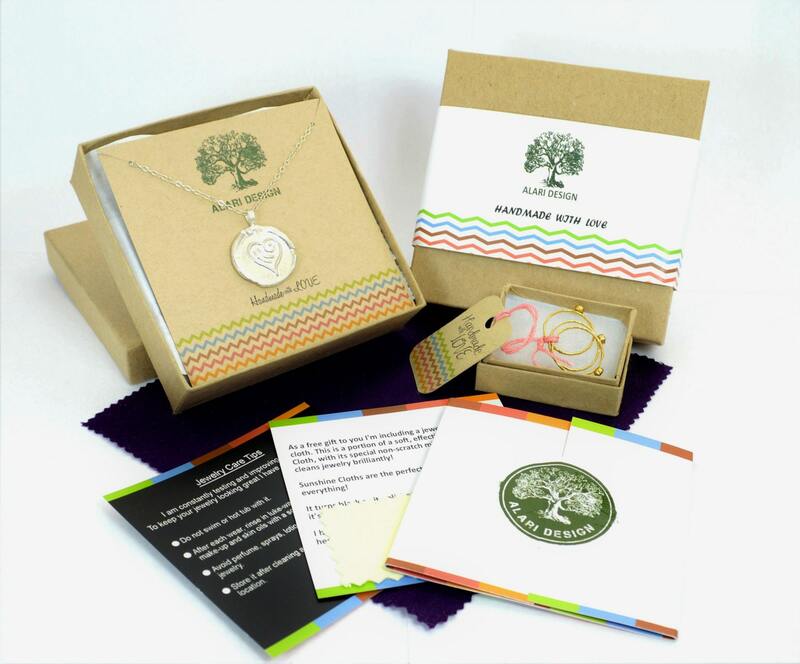 To order multiple kinds, select your size, the first metal type, and the quantity, then add them to your cart. Repeat until you have just the right mix of different metals, then check out. About the 14k Gold Filled rings: I use high quality American 14k yellow and rose gold filled wire. The gold is bonded to the wire and is over 100 times thicker than high quality plated gold. Durable & tarnish resistant, these rings are suitable for daily wear. Filled gold rings are beautiful, affordable alternatives to solid gold, and can be worn by people with sensitive skin. 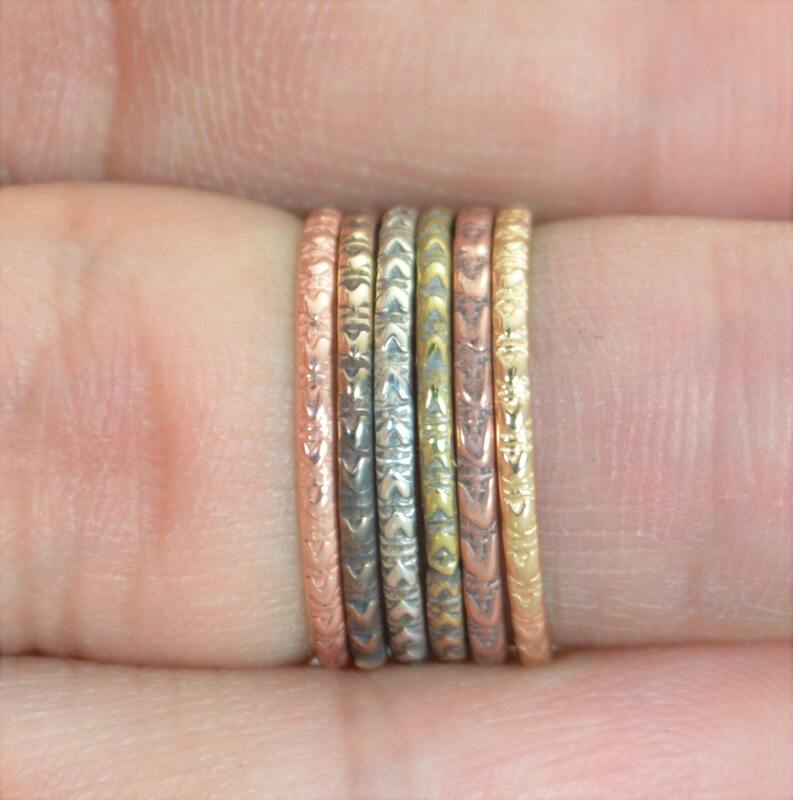 • Each ring is about 1.5 mm wide; 8 rings measure about 1/2 inch. • Copper, Brass, and Bronze are reactive metals and may tarnish over time and leave a harmless metal coloring on the skin. And as I said before, these rings are awesome!!! Wish I could wear them all everyday. These rings make me enjoy wearing rings again! Love this ring! Always cute and comfortable to wear. Another awesome ring! Michael does great work!! !